Slainte! Of all the booze we bake with, Bailey’s is our favorite. The flavor of this Irish cream liqueur is milder than the other alcoholic beverages that we stock in our cabinet. The cream adds a sweet balance to the strong whiskey. Bailey’s is also good “on the rocks,” added as a shot in coffee or hot chocolate and infused as an ingredient in recipes, such as cakes. Highlander most often requests a “Bailey’s birthday cake” from Islander and he takes it to the office to share with his co-workers. 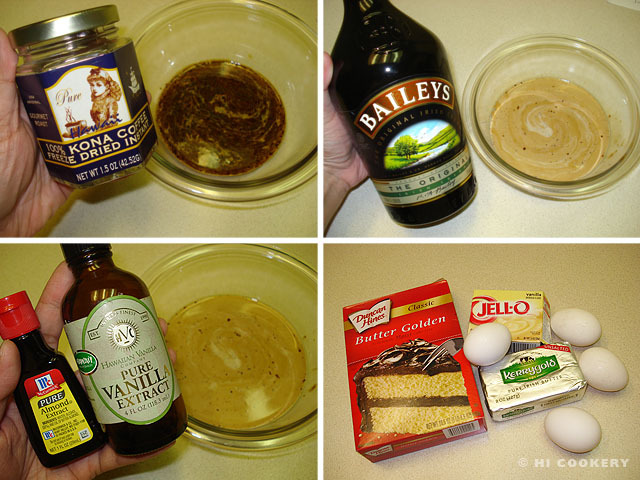 In the “spirit” of St. Patrick, the patron saint of Ireland, we baked a Bailey’s cake. 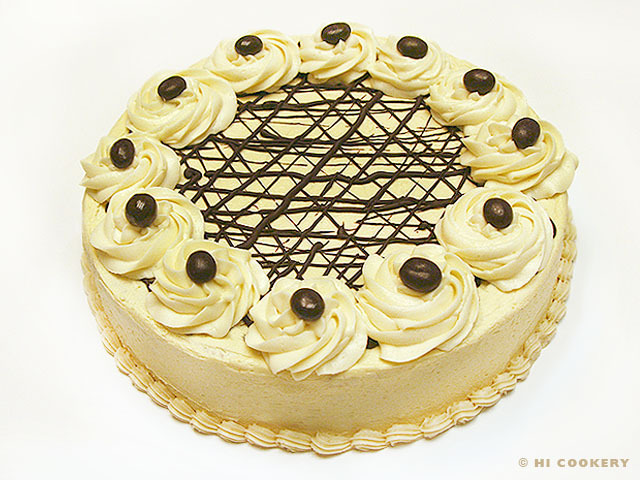 More Irish cream liqueur in the frosting enhances the flavor for a festive St. Patrick’s Day dessert. Prepare the wet ingredients. In a small bowl, dissolve the instant coffee in boiling water. When cool, pour in the Irish cream liqueur. Stir in the vanilla and almond extracts. Prepare the rest of the cake ingredients. In a mixing bowl, combine the cake mix and vanilla instant pudding mix. Add the coffee mixture. 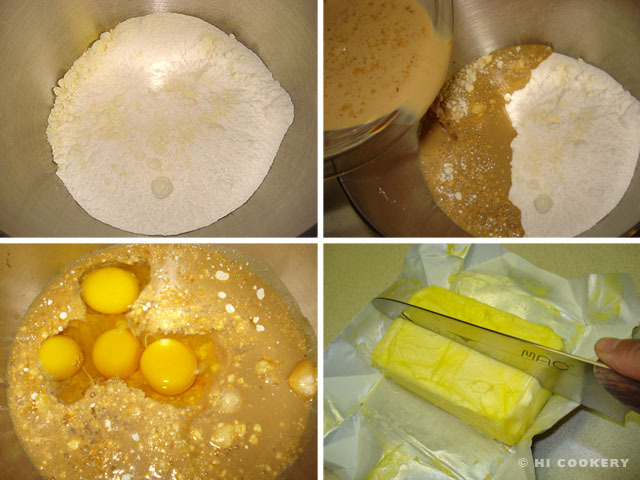 Beat in the eggs with the butter until smooth and well blended. 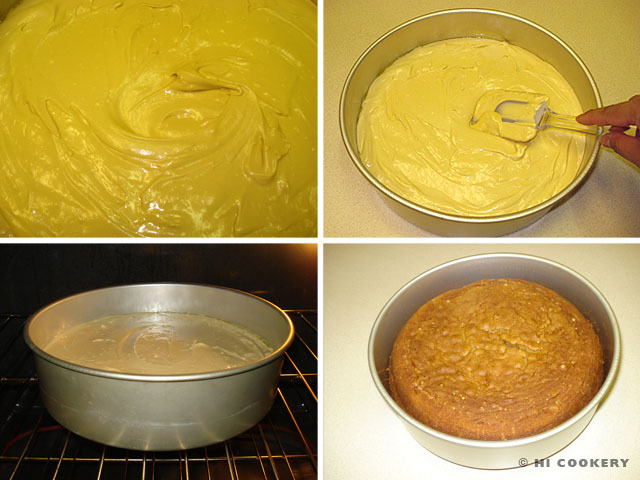 Pour the batter in a greased baking pan (we used a 10-inch round cake pan). Bake in a preheated oven at 350 degrees F for 40-45 minutes, testing with a toothpick for doneness. Remove from the oven and cool in the pan. 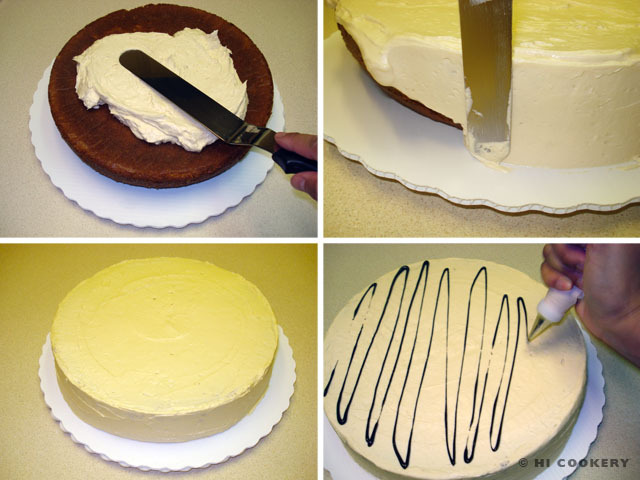 Transfer the cake to a platter or cake board. Make the frosting. Generously spread the top of the cake and sides. Drizzle melted chocolate on top of the cake in a criss-cross pattern. Use extra frosting to pipe swirls on top of the cake (we used Wilton tip 1M). Pipe borders on the bottom of the cake (we used Wilton star tip 18). 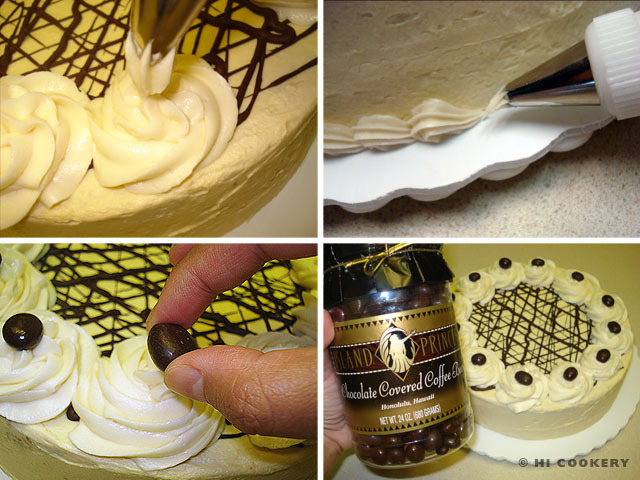 Finish the cake by garnishing the swirls with chocolate-covered coffee beans. Instead of chocolate, melt green candy wafers to add an emerald color to the cake for St. Patrick’s Day. Also, substitue the chocolate-covered coffee beans for green M&Ms to match. Search our blog for more St. Patrick’s Day recipes.